The fun isn’t done when Christmas comes to a close! LEGOLAND Florida gets the New Year’s party started early with a Countdown to Kids’ New Year’s Eve that features nightly fireworks over Lake Eloise Dec. 26-30. Watch a spectacular fireworks display with special viewing glasses that turn ordinary fireworks into millions of exploding LEGO bricks. 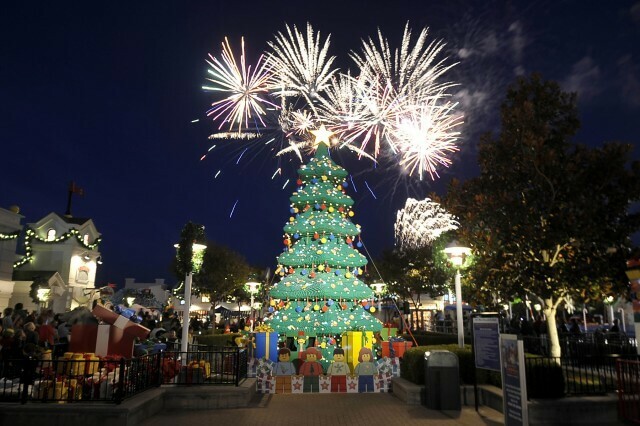 The whole family can enjoy a family-friendly party with Kids’ New Year’s Eve on Dec. 31. Kids get to rock out in Miniland USA with a live DJ Dance Party that’s sure to get the whole family moving. This grand finale features a live-action show, an impressive LEGO fireworks display, and a chance to watch the BRICK Drop at just the right time for kids, midnight KST (Kid Standard Time) – otherwise known as 7 p.m. EST. Where will you be ringing in the New Year come December 31? Let us know below!